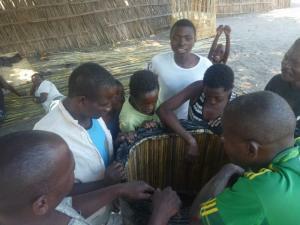 The first step taken by UNICEF Malawi was to apply mixed methods research to understand the existing sanitation market. Three districts were chosen including areas with sandy and clay soils. The research confirmed the anecdotal reports that sanitation products were failing to match both the needs and wants of householders. Plus suppliers were only offering products that met the price range of very wealthy households. The next phase moved to product design. 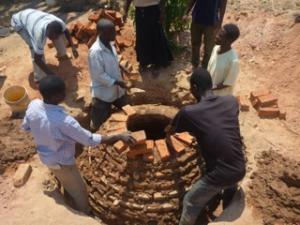 Traditionally, programs have looked to the sanitation engineer textbooks and tried to identify an ‘expert solution’. We decided against this approach – we knew the existing solutions wouldn’t recognise the local conditions of the market (no access to cement, very limited transport infrastructure to gain access to external building materials) nor utilise the local builders’ and villagers’ knowledge and skills. So we turned to participatory design. Participatory design has been around since the 1970’s. It was used to help factory workers provide insights and advice into the design of new industrial technology. It aims to create a space that allows users and designers-researchers to create solutions to overcome a design problem. It is commonly applied in the agricultural, industrial design, IT, architectural sector. We couldn’t find any examples of it being applied in the sanitation sector but we could be wrong and would love to hear about your experiences. We invited 25 – 30 people to each session and then divided them into four teams. 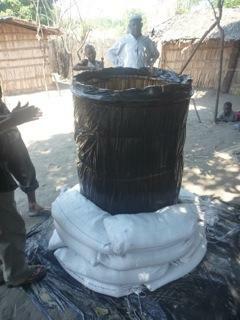 Teams were formed to consist of five builders/masons, two village health workers/householders and one EHO. 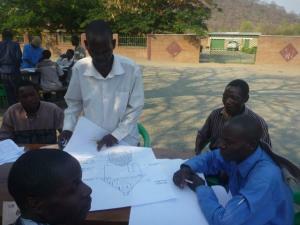 Each team was asked to draw and label the existing sanitation technologies in their villages. The teams we then instructed to identify the ‘advantages’ and ‘disadvantages’ of each technology. Each team then presented their findings to the group. 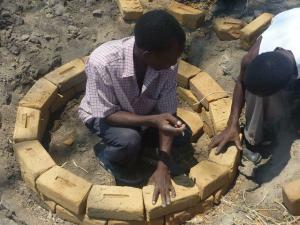 Can we create a toilet that matches what the majority of villagers want, need and can afford using local materials? Teams visualised their designs through drawing and text. After two hours of brainstorming, each team was asked to identify three designs that they would like to prototype. For the remaining hour, the teams identified the materials required to create the prototypes and these were submitted to the government staff for collection from local suppliers. Day 2 was dedicated to the process of creating small and medium-sized prototypes. Local building materials were provided to allow each team to explore and create their design directions. Users were encouraged to share and discuss their ideas with people from outside of their nominated team. The first half of day 3 allowed the design teams to estimate the material and labour costs of their prototypes. During the final afternoon on day 3, teams presented their designs to 12 – 15 local villagers including both men and women. 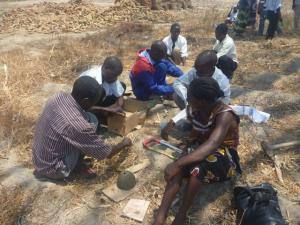 The villagers were invited to review the prototypes and provide feedback. The feedback sessions were intended to allow the design teams to hear critiques from potential users. 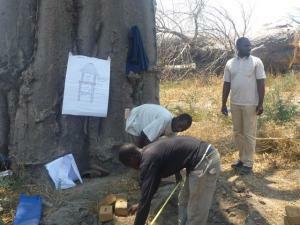 These designs are now undergoing testing and revisions at Mzuzu University’s SMART Centre and through ongoing feedback from local masons, builders and users. Make sure you have adequate space to conduct the prototyping. The space should be open to the public to let other villagers watch and provide feedback. Identify a technical group to conduct testing and revisions of the designs created by the participatory sessions. These revisions should then be returned to the local sanitation suppliers and villagers for feedback and ongoing local revisions. Participatory design is an ongoing process – this is just the beginning.